Farmer Managed Natural Regeneration (FMNR) is a low cost, easily replicated form of community owned natural resource restoration and management that contributes to both sustainable development goals and also to climate change mitigation and adaptation goals. 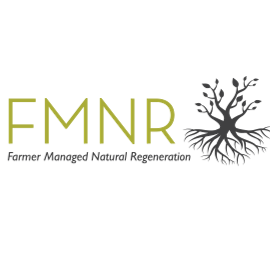 FMNR has been used (under many different names) by communities throughout the world both in indigenous management systems, and as an introduced process in modern times. First, regeneration is less risky and more successful than tree planting, because instead of having to establish a root system in difficult conditions, regenerated trees take advantage of extensive existing root systems that are already tapped into deep soil and water resources. It’s like grafting a new seedling onto the well-established roots of a big, mature tree. Second, communities rebuilding and managing the land and resources that sustain their lives and livelihoods are much more secure than communities dependent on external choices and actions for their well-being, or who have little control over the resources they depend on. And because many FMNR activities can be accomplished during the dry season, the benefits of FMNR are gained without increasing the work load during the most critical planting and harvesting periods. Farmers select and protect regenerating trees of their choice and density based on their interests – no prescribed arrangement, but densities range from a few to 250 or more per hectare. Regenerating trees are protected from grazing, cutting, fire, etc, to allow them the time to grow – it doesn’t take very long, with some trees growing a metre or more in a year. Farmers thin shoots to only a few stems to promote vertical growth – this avoids scrubby bush which takes land away from crops and produces low quantities of wood. They then manage the regenerating trees by periodic pruning out new shoots to ensure that the trees continue grow quickly and to serve the purpose(s) for which they were selected. Prunings can be used as fertiliser, fodder, for fuel or other uses. Other products may be collected as needed such as fruits, fodder and various parts of trees for medicinal or other uses. Interestingly, the overwhelming majority of FMNR’s spread to date has been managed by developing country small-holder farmers without significant external support. If small holder farmers have been able to regenerate millions of hectares mostly on their own, imagine the impact they could make with regular and substantial support from the other stakeholders interested in supporting lasting, transformative development and/or strong, healthy ecosystems. A critical recommendation from this Thematic Session was that FMNR needs far greater attention, research, exposure and publicity to attract the support of governments, donors, NGOs and the private sector to realize its massive potential to improve the lives and livelihoods of smallholder farmers and their environment. In Southern Africa, numerous indigenous systems are based on the same processes and practices that make up FMNR: this isn’t a new technology in this region, but rather a very old one that has already had positive impacts for communities and individual farming families. Total Land Care indicates that with “with protection from fire and cutting, most farm land in Malawi has inherent ability to regenerate”. In a land where forests contribute more than 30% of income for the vast majority of the population, regeneration makes good business sense. 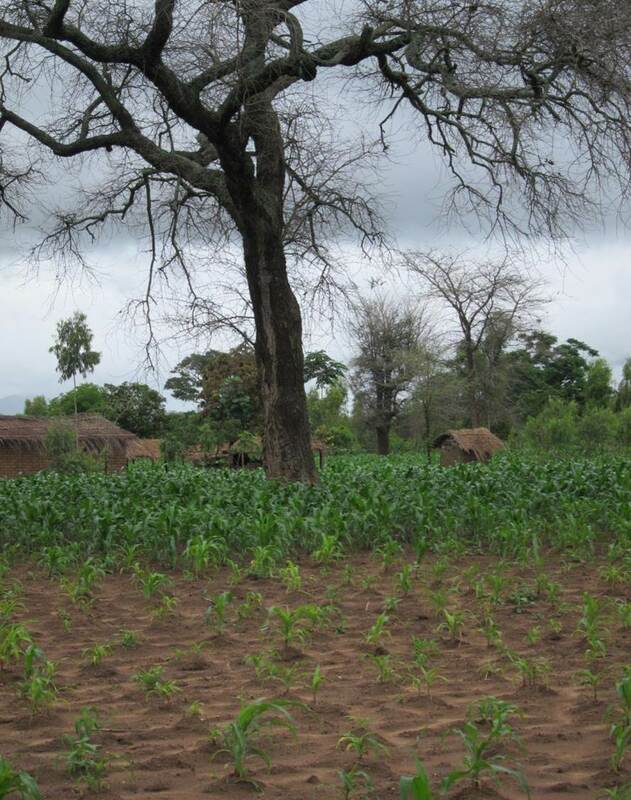 Since FMNR systems have been demonstrated to fair better in drought conditions and decrease flood risk, substantial regeneration has the potential to make a big difference in Malawi’s food future, especially as the impacts of climate change become more severe. Malawi is not alone: FMNR is the most widespread and most successful agroforestry system in Southern Africa. FMNR is the process of regenerating and managing trees in the landscape, but it is by no means a stand-alone process. African farmers are smart and they have found numerous ways to increase the benefits of on-farm trees. Combining FMNR with conservation agriculture, water harvesting, and other practices has increased the benefits of both. Regenerating fertiliser trees, such as Faidherbia albida can improve yields while reducing input costs – a double win that makes good sense for farming families. Many families incorporate not just the trees and increased crop yields into their livelihood plans, but also the secondary opportunities that increase as tree cover increases – such as bee keeping. Although the goals of individual FMNR efforts are as diverse as the people undertaking them, some common themes emerge time and time again, and these form the basis of the recommendations coming out of this Thematic Session. FMNR is best built as a bottom up approach, winning farmers themselves by assisting them to see the potential benefits and experiment with systems to find what works best for them. Usually this is best accomplished by farmer-to-farmer visits, which governments and NGOs can facilitate to encourage faster spread. FMNR should be part of a multisectoral approach and should engage all stakeholders – farmers, herders, government, community organizations, women, men, youth, children; everyone who uses, or is affected by, or can affect, the local natural resource base. Although some farmers will be willing to experiment with regeneration for the immediate benefits alone, it is a long term process, so land tenure and/or security of use of the regenerated resources is key to the majority of farmers being able to prioritise time and energy devoted to FMNR. The variety of benefits of FMNR need to be documented – both rigorously, for donors, and also practically, for practitioners. Simply knowing it works isn’t enough to ensure adequate support for scaling up, but high level studies are not useful for the farmer on the ground, who needs clear, concise information quickly. While farmers themselves have made a dramatic impact with FMNR, increasing resources from government, donors, NGOs and the private sector to expand support and outreach efforts will allow for a much faster and greater impact – which is needed in the face of increasing climate change impacts and decreasing financial resources to respond to recurring disasters. Start now – FMNR is an extremely valuable opportunity to contribute to multiple development, environment, and climate change goals. It works fast, and it’s remarkably inexpensive. It is very low risk. The sooner it is adequately supported and appropriately scaled up, the sooner the benefits begin to be realised.